After much talk on the ongoing developments of the Windows 10 and the rumors on what more is to come, the release date might have also been leaked through the slip of AMD CEO Lisa Su. Window 10 might be released on late July. Microsoft's Terry Myerson had announced earlier this year that the update of Windows 10 will be free for the users of the Windows 8.1. The prices for the upgrade for users of Windows 7 and the rest of the older versions are still yet to be announced. Direct upgrade to Windows 10 will be available for the two previous versions. Those who get the free upgrade will also have security and system updates for the Windows 8.1 devices. Though it is not specified if the release date was the release for the manufacturers of for the consumers, AMD CEO Lisa Su had given people an idea that Windows 10 is coming late in the summer this year after a slip of the tongue during company's quarterly earnings call. According to Su, they will be monitoring for the impact of Windows 10 on the back-to-school season since it will be released on the end of July, a bit late for the season. On the other hand, more developments are on its way. 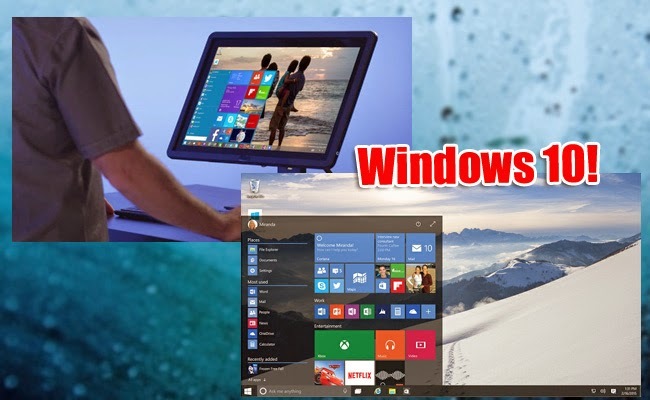 Bete version lets users see what is happening with the development of Windows 10 in the other devices. Win32 apps will no longer be running and there will be no more Start menu and desktop mode. Another news is that Microsoft's Windows 10 Store will soon be put up as a the store for all the apps. Movies and TV pages are also upgrade giving you the option of using your credit card. Internet Explorer will also be changed into Microsoft's newer browser with the codename Project Spartan that will be supporting modern HTML websites.